Buy SY-200I/200II bowl cutter for vegetable - Shandong Leader Machinery Co.,ltd. 1) whole body made of high quality stainless steel, durable, easy to clean. (2) temperature, time, number of revolutions can be displayed and set. Can control the optimum chopping time. ¡ type of conversion eight governor. (5) key components imported components, such as chopping knives, bearings, drives, programmable controllers, touch screen, electrical components. ¡ type frequency control, which can save energy 30%. (1) electrical box split installation, sealing, use waterproof electrical appliances. (2key parts machining center to ensure accuracy. Appearance of special treatment technology, beautiful appearance. (4) Emerson or made in China, Hai Lipu converter (Danfoss). User selectable. (5) Switzerland SKT front and rear bearings. 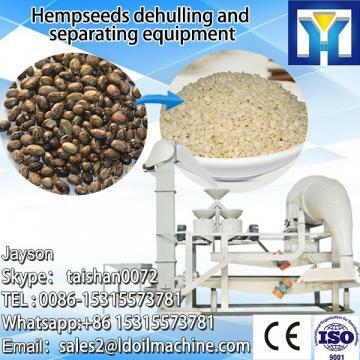 1 The machine is widely used in meat, vegetables, nuts, seafood and spices. 2 turn pot for casting stainless steel, and a spill-proof pot along, effectively prevent the infiltration material phenomenon. 3 key parts machining center to ensure accuracy. 4 knives made of imported materials with a special processing technology, but also matching import tool. 5 spindle bearings imported dual tandem installation, to ensure a good group of knife shaft concentricity. For the whole SY-200I/200II bowl cutter for vegetable,warranty is 12 months,within 12 months,if have equipment quality problems,we will provide accessories freely. After the expiration of the warranty period,if have spare parts problem,we only receive the cost of required replacement parts.We commit we will provide free technical support of equipment all whole life. Our company has engaged in producing and exporting SY-200I/200II bowl cutter for vegetable for many years, and until now, our machine has exported to overseas market, such as Brazil, India, Indonesia, Russia, Thailand and so on, and get the foreign customers' unanimous praise. We believe that you purchase Shandong Leader Machinery Co.,ltd. SY-200I/200II bowl cutter for vegetable is your best and sensible choice.